Al Dka is an internationally accredited farm, located in Al Ghat and Riyadh, that produces fine organic and healthy products. Al Dka commissioned Blue Hat to help them build their brand identity and package. Elements of differentiation: it is an internationally accredited farm that produces organic and healthy produce at a price for value strategy that has a better texture and taste with future plans. Trend: the trends tackled were the growing interest in organic foods in KSA, the Millennial hunt for fresh and healthy foods and the growing government support for organic market in the KSA. Al Dka's minimalistic option is a typography direction that was custom made for the brand. The logo is extended horizontally to mimic the shape of Al Dka as a symbol of hospitality and generosity. 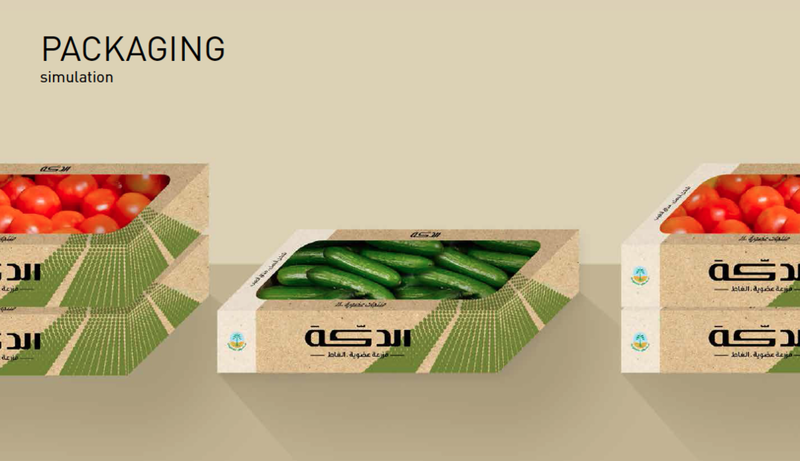 The graphic on the package was inspired by the layout of the farm in Al Ghat.